Filipino food doesn't seem to have the mainstream familiarity as some of its Asian counterparts, but that is easily rectified by a visit to Casa Filipina in Phoenix. 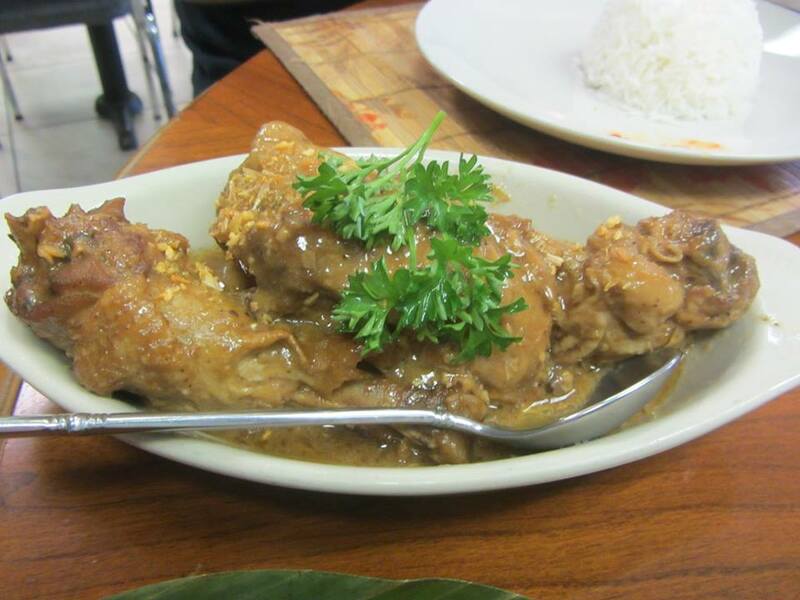 My introduction to the cuisine was a delicious chicken and okra adobo cooked by a Filipino chef friend (Mita's Kitchen Table) when I lived in Beverly, Massachusetts in the late 1990s. I was immediately hooked by this dish with its distinctive vinegary braise. Imagine how happy I was to find this Arizona spot. Thanks to owner Tony who knows how to use social media and put it on my radar! Casa Filipina owners, husband and wife Tony and Tess, are culinary school graduates who worked in resorts before opening their bakery in 2006, and in 2007 expanded into a restaurant. Hallmarks of Filipino cooking include the influence of centuries of Spanish colonial rule and its proximity to Malaysia and China. Trying Filipino food for the first time? Start with classic dishes such as lumpiang Shanghai (thin, crispy spring rolls), chicken adobo (braised with garlic and vinegar), pancit (stir-fried, flavorful rice noodles), chicken inasal (marinated grilled chicken with annatto and served with pancit and rice) or lechon kawali (crispy pork belly). There are also helpful photos on the wall behind the dessert cases. The menu is divided into categories such as beef, pork, chicken, noodles, and fish, so there is plenty to explore. My personal favorite (not always available, I suggest calling ahead) is sizzling binagoongan with roast pork, eggplant, and an ingredient called bagaoong, an umami flavor bomb of fermented shrimp or fish paste. I'm addicted to the earthy-funky saltiness it imparts. Dessert is also a star, as you'll see when you enter. Be sure to save room for a halo-halo ("mix-mix") , and remember to take some baked goods home too. It will be quite a while before I work my way through the treats that fill their cases, but some favorites are the sapin-sapin (a layered glutinous rice dessert), pastries using ube (purple yam), banana bread with chocolate chips, and tiramisu made with marsala wine. And I'm sure to leave with pan de leche (sweet bread) and pan de sal (salted rolls), along with the best banana bread in town. One of my favorite restaurants in the West Valley, this gem is not to be missed. Sweet rolls stuffed with ube/purple yam filling. Sago at gulaman (a Filipino drink with gelatin, tapioca pearls, crushed ice). Pata - braised and fried pork hock. 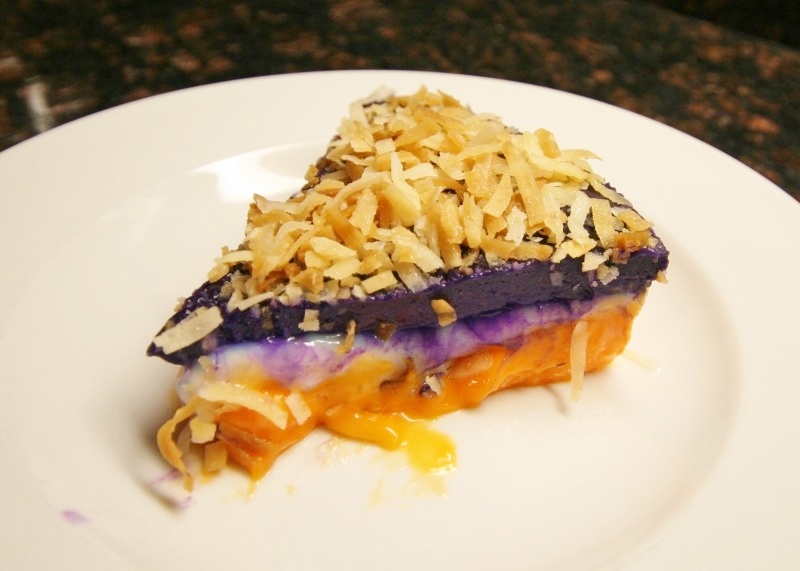 Purple yam (ube) desserts including ube and cheese stuffed pastry, tart, cheesecake, and mousse torte.